As a dentist or cosmetic dentist looking to grow your practice, you would probably like your website to attract new patients en masse. That would mean that your website works and is worth the money you’ve invested in it. Well, nothing helps a dentistry website convert quite like social proof. In marketing, social proof is a phenomenon that can entice consumers to make buying decisions. It’s sort of like following the crowd and wanting to be like the Jones’s – we respond to the whims and motivations of others, especially if more than a few are on board. The phenomenon of social proof has been used for quite some time in advertising and marketing campaigns, and there are few techniques more powerful, especially when it comes to attracting new dental patients. For instance, a survey showed that 70% of respondents read online reviews before making a purchasing decision. Furthermore, 63% of consumers would be more likely to purchase from a website if ratings and reviews were prominently showcased. 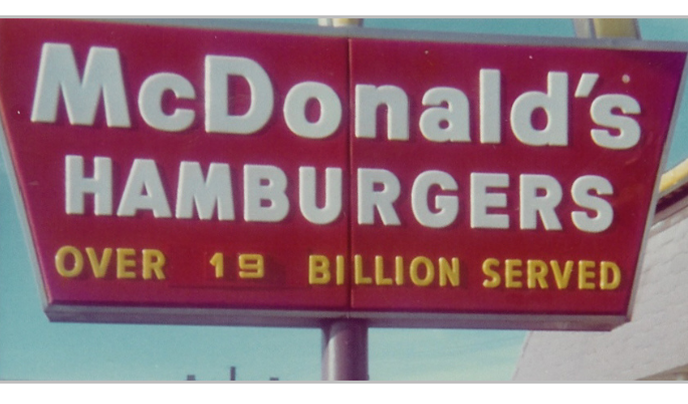 To see the effects of social proof firsthand, think back to McDonald’s signs back in the day, which used to tell everyone passing by that 19 billion hamburgers had already been served to hungry consumers across the land. 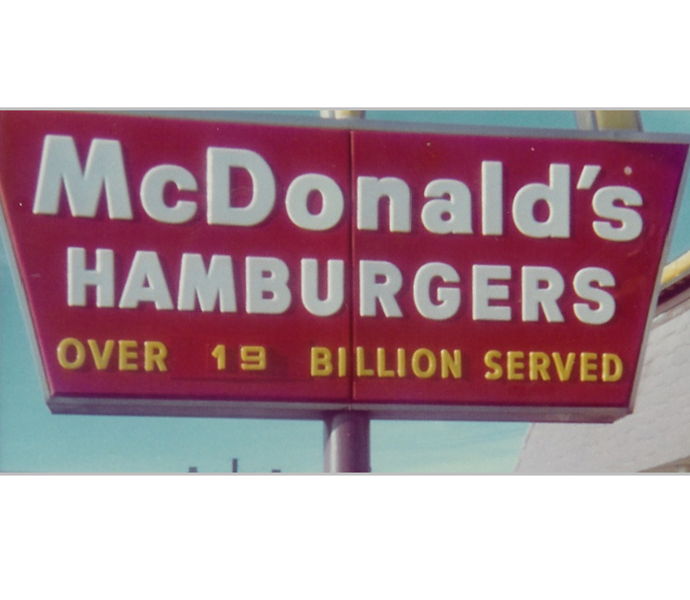 With sales volume like that, the hamburgers must be great! That’s at least the idea conveyed to the consumer. Now, doctor, I would never compare your services to that of the ubiquitous fast-food chain. Your services improve patients’ lives (and their smiles), but you can still use social proof to entice sales growth, just like McDonald’s did. The following advice is taken from our SEO team, and will help you convey to new patients that your services are all that and more. You’ll also let patients know that others have enjoyed your services so much, they’d have to be downright foolish not to schedule an appointment right now. You know what’s better than telling new patients that your services are changing lives? Hearing or reading the words straight from the patient’s mouth. 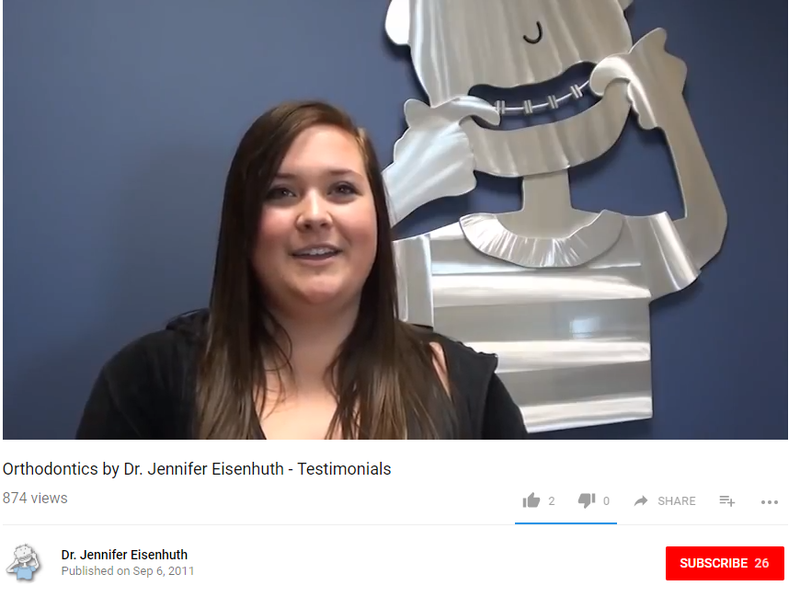 With patient testimonials, you are basically letting your patients do your advertising for you. To use this tactic for your own benefit, ask patients to write a few words about their experiences or ask them to film a video of themselves talking. You can even record the video with your own equipment, as long as the patient is okay with you posting it online. The testimonials can then be showcased on your website and on social media. Written testimonials can even be used on offline materials like flyers or mail inserts. As long as the testimonials are authentic, they can be powerful social tools that can improve your website conversions when used properly. New patients searching for a local dentist will typically start their journey with Google. They might type into the search box “Dentist in [Your Area]” or “Best Dentist in [Your Area].” In addition to searching for your name, address, and phone number (NAP), new patients might also want to know what others thought of your dental services before calling or stopping by. This is where Google reviews are worth their weight in gold (stars, that is). The more testimonials and gold stars you can accumulate on your Google profile, the higher you could potentially rank in the search engines. And, the higher you rank, the more people who will see your profile, which will give them an opportunity to call and schedule. And, when those prospects start reading all about how skilled and exceptional you are as a dentist, cosmetic dentist, orthodontist, maxillofacial surgeon, or other type of dental professional, the more patients you can potentially earn. Sites like Health Grades will allow you to showcase your services to others who may be comparing you with other dental professionals in town. Sending your patients to these types of sites to leave their thoughts can also be effective at filling up your patient roster. Words and testimonials from your patients are one thing. Seeing the stellar results of your procedures is quite another. 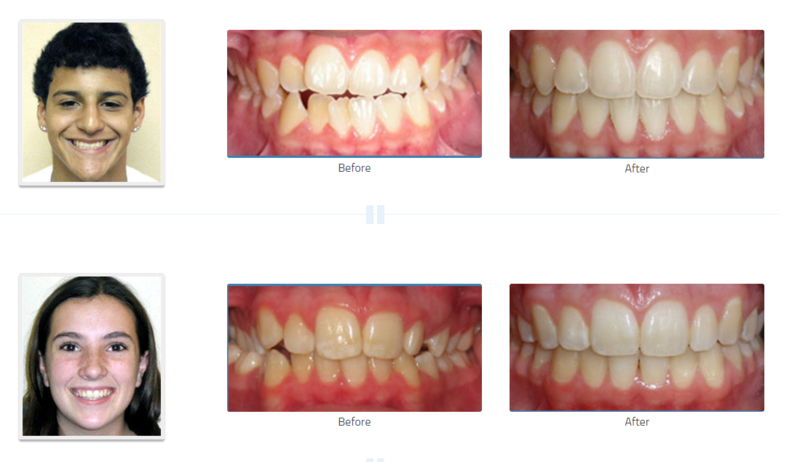 If you can showcase before and after images of smiles on your website and elsewhere, such as on flyers or mail inserts, this can be highly effective at getting new patients to call. They will think, here is hard-core proof that your services are legit. What a way to entice new patients to call you over every other dental professional in town! Social proof can also be used in the form of a page on your site that lets people know how many patients you’ve treated. For example, you might list how many Invisalign patients you’ve helped, or how many times you’ve placed dental implants. Using social proof in the forms above will help immensely with getting new patients to choose you over the competition. However, nothing trumps social media posts that are left by other people satisfied with your dental services. If you can get your patients to post their smiles and experiences on Facebook, Instagram, and other popular social channels, that right there is social proof at its best. People these days hold social media posts in very high-esteem, and getting a recommendation from a friend or family member on social media is some of the best social proof there is. 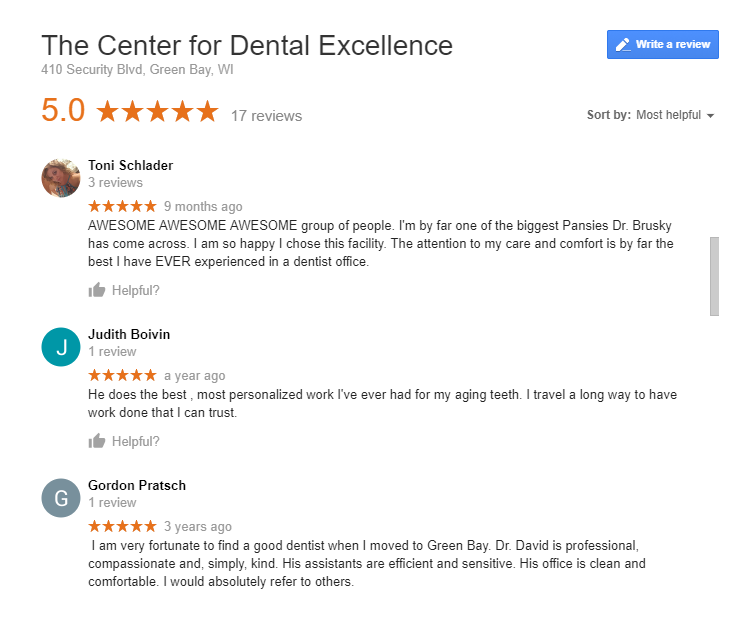 Many of the dental professionals we work with have told us it’s nearly impossible to get patients to go to Google and leave a review, for instance. The way to do it is while they are standing at the front desk. After their procedure, ask if they will go to Google and third-party sites like Health Grades, if possible. Or, type up handouts that you can give patients that have spaces for testimonials and links for popular review sites. Make it easy on patients and, if they are happy with your services, they will usually be more than happy to spread the word. As with anything, the more you ask patients, the more testimonials, reviews, and other social proof you’ll accumulate over time, and your website conversions are sure to improve. Want to learn more about what it takes to convert website visitors into loyal dental patients? Contact Millionairium, the SEO experts, at (888) 951-2773 or email us for a free consultation. Don’t forget to ask about our new Pay-Per-Performance program, which is the new low-cost way to dominate your area in Google. Call today!